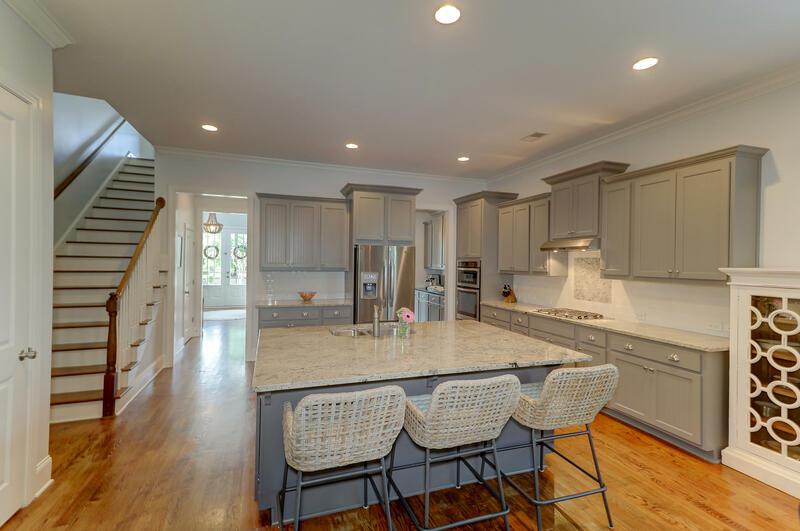 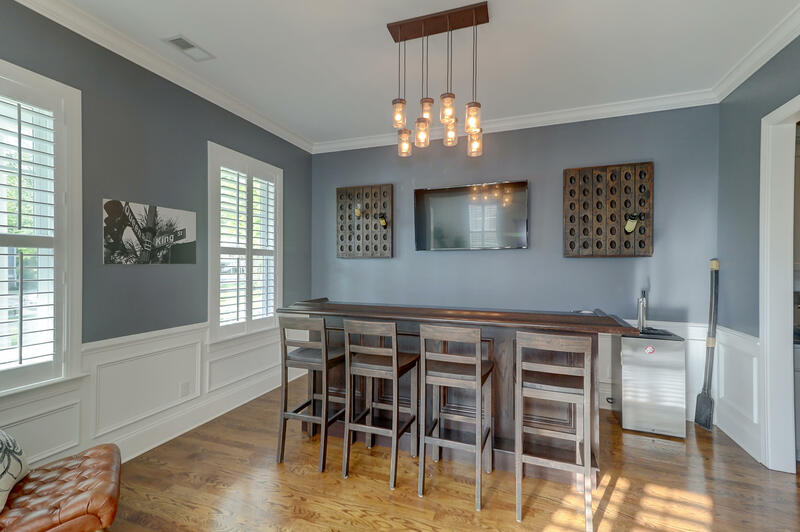 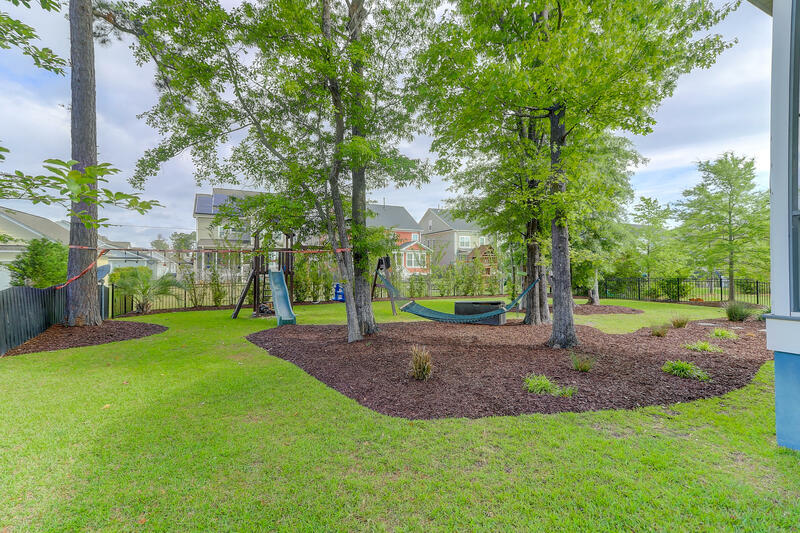 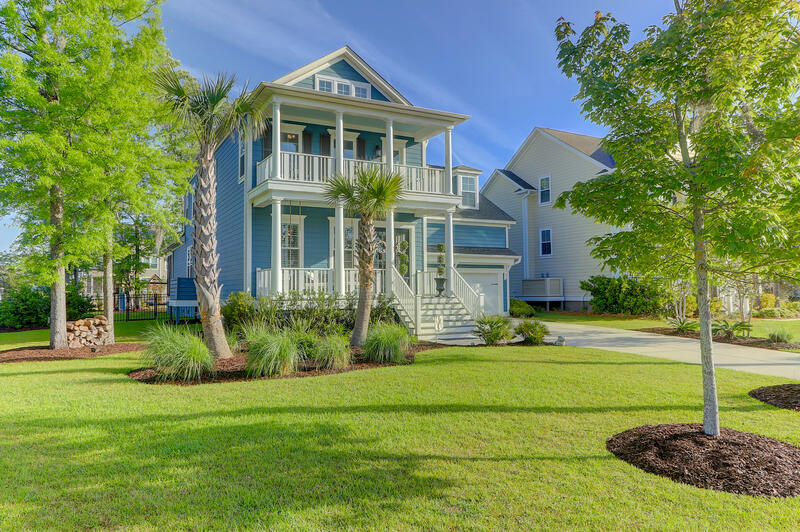 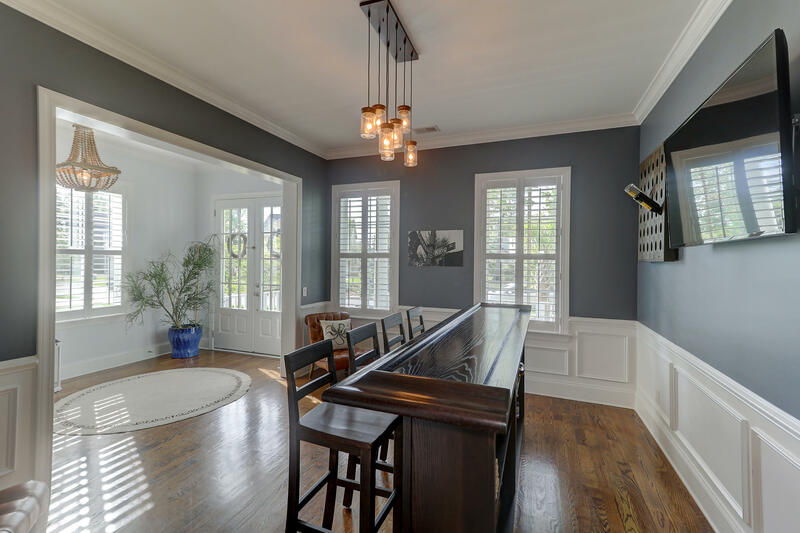 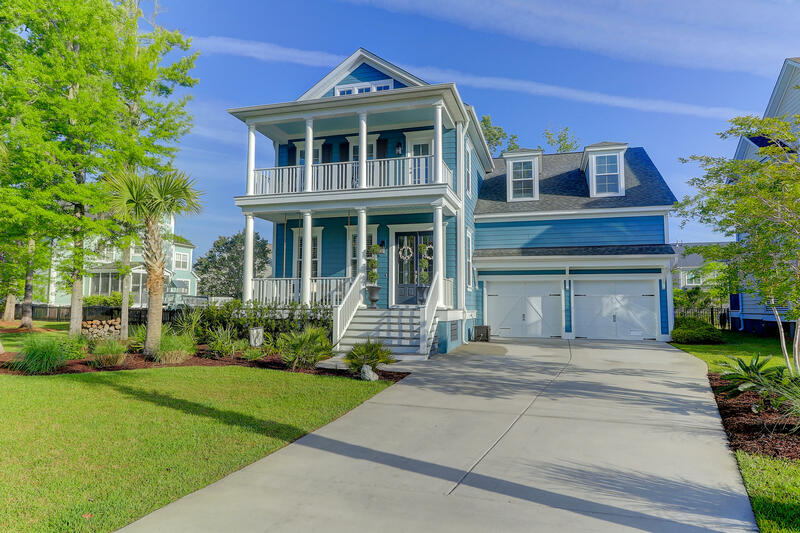 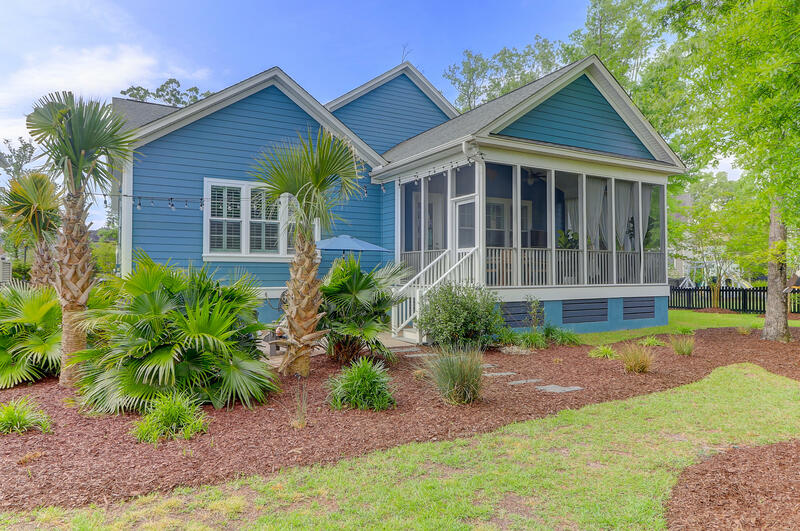 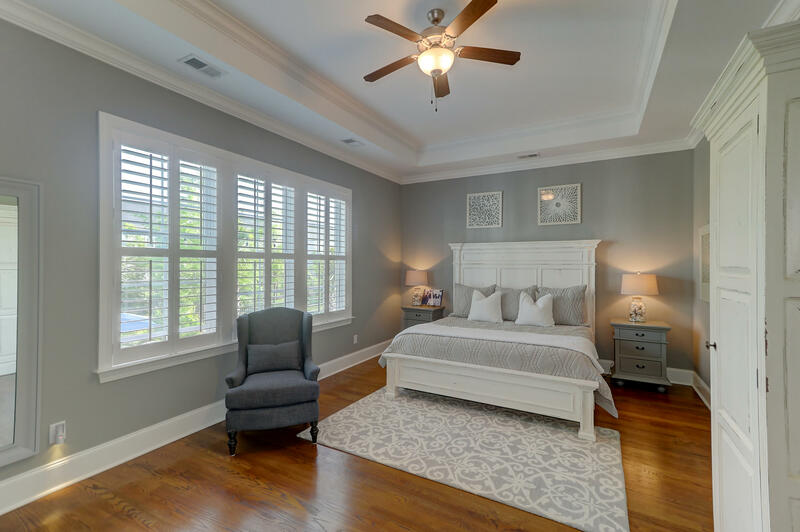 This Charleston style home has all the finishes and upgrades including 10 ft ceilings downstairs and hardwood floors throughout! 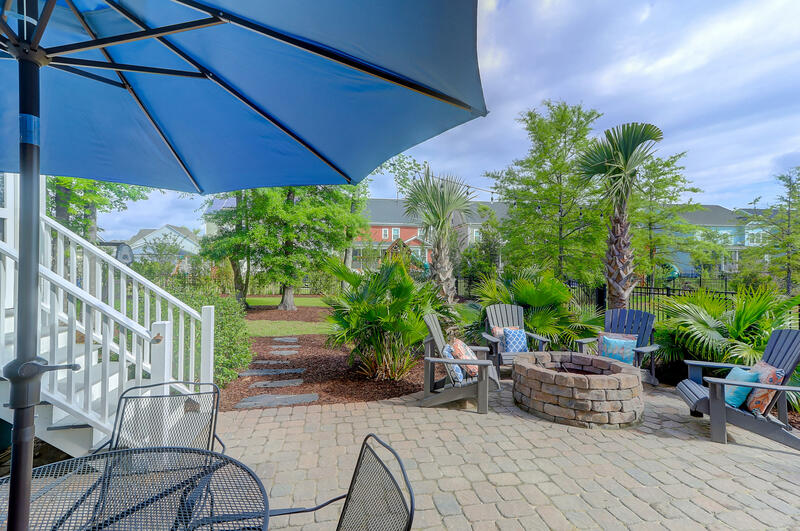 Plus details you simply won&apos;t find with new construction such as a fenced backyard, tons of landscaping including palms, patio with custom fire pit, and plantation shutters downstairs! 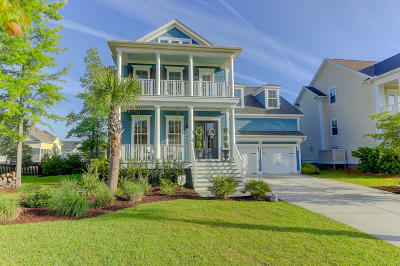 This immaculate home has been thoughtfully upgraded, and it really shows. 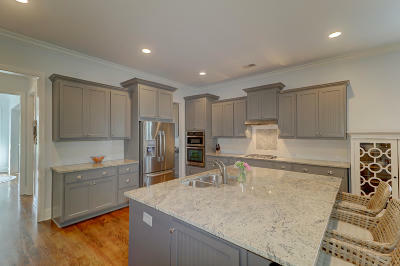 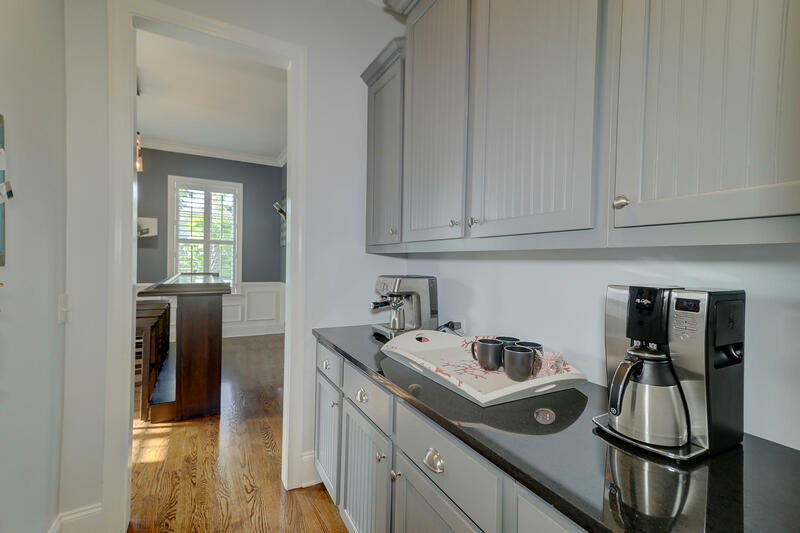 The kitchen boasts beautiful gray cabinetry, granite countertops, stainless hood and appliances (note the marble detail over the gas cooktop), recessed lighting, and walk in pantry. The butlers pantry offers additional storage and leads to a separate dining room perfect for entertaining. 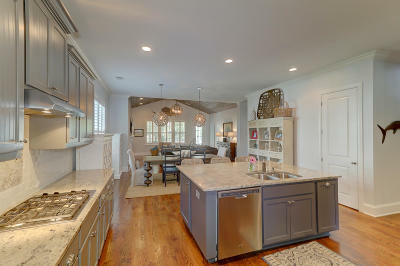 The kitchen opens to the breakfast area and den in a floor plan that is ideal for everyday living. 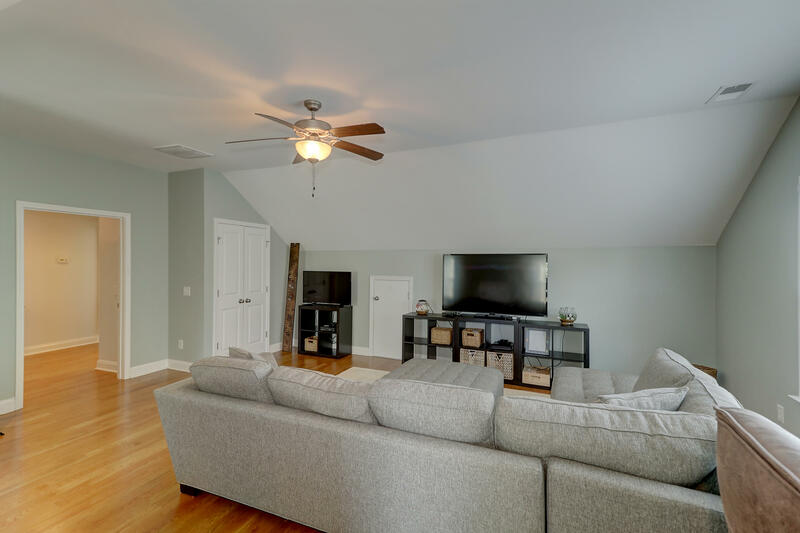 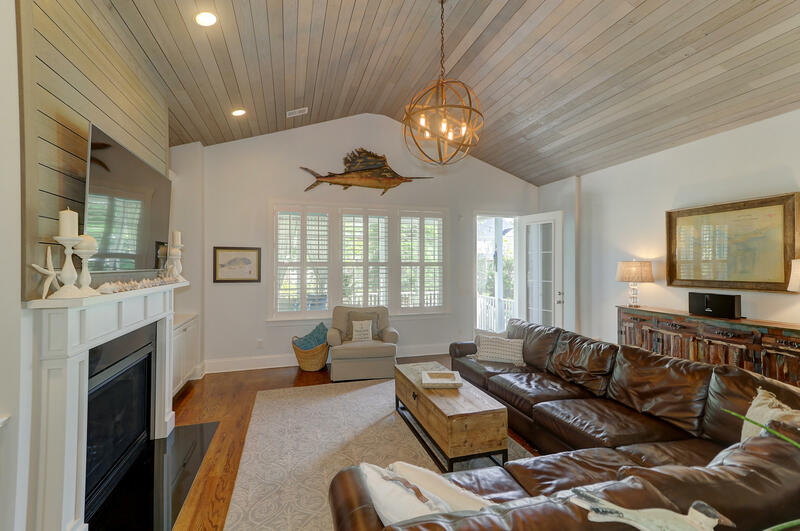 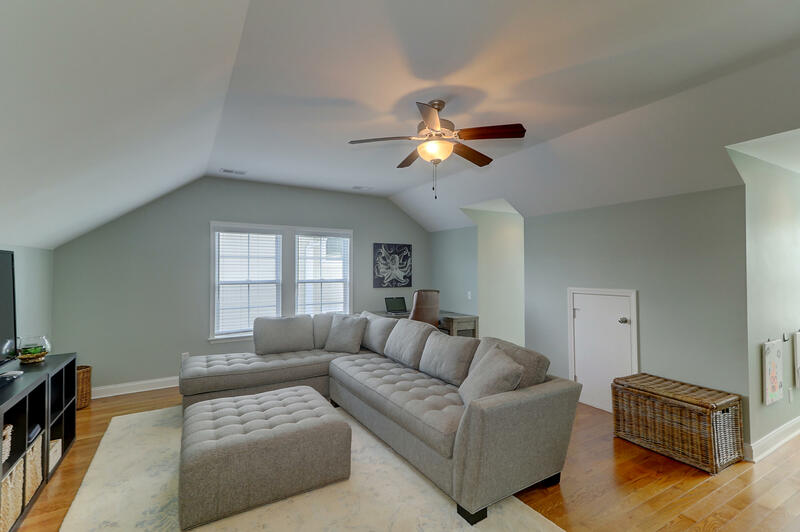 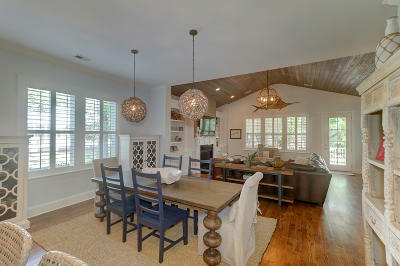 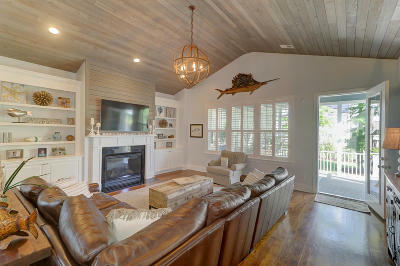 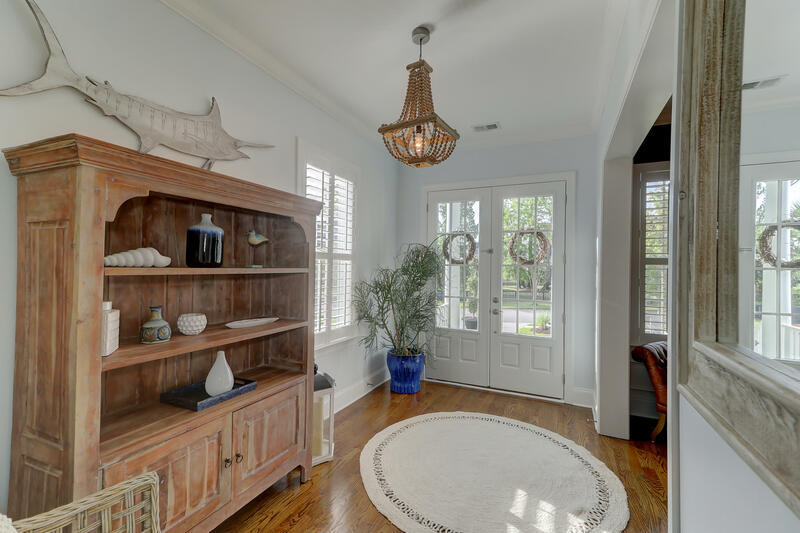 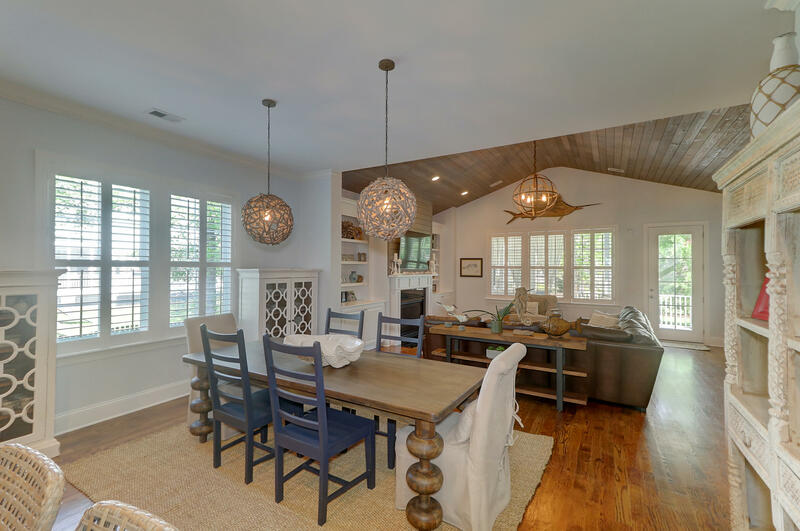 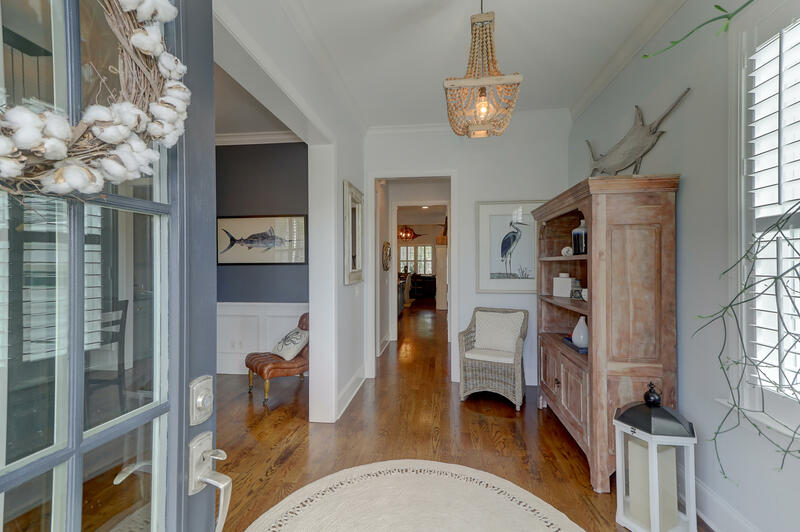 Note the shiplap work on the den ceiling and fireplace that really add to the coastal feel of this home. 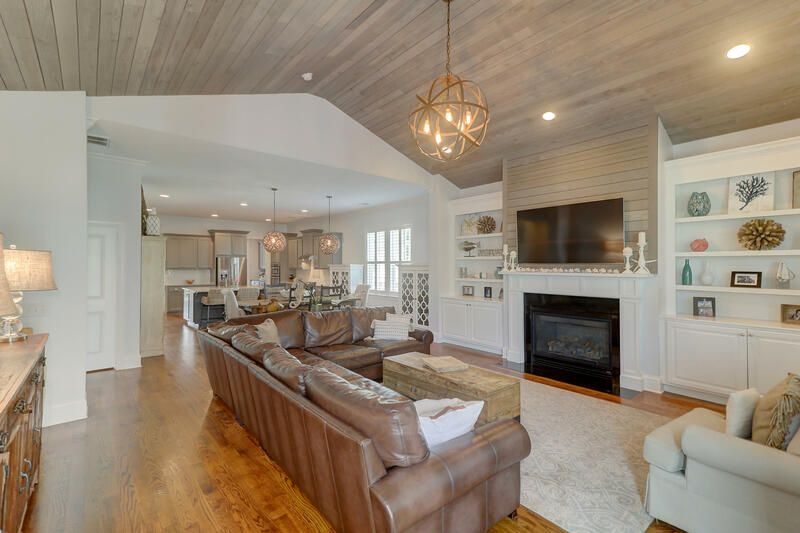 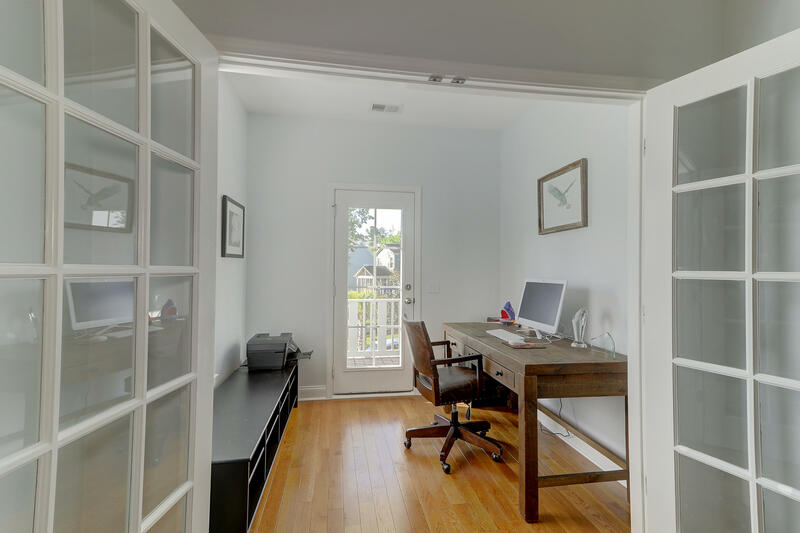 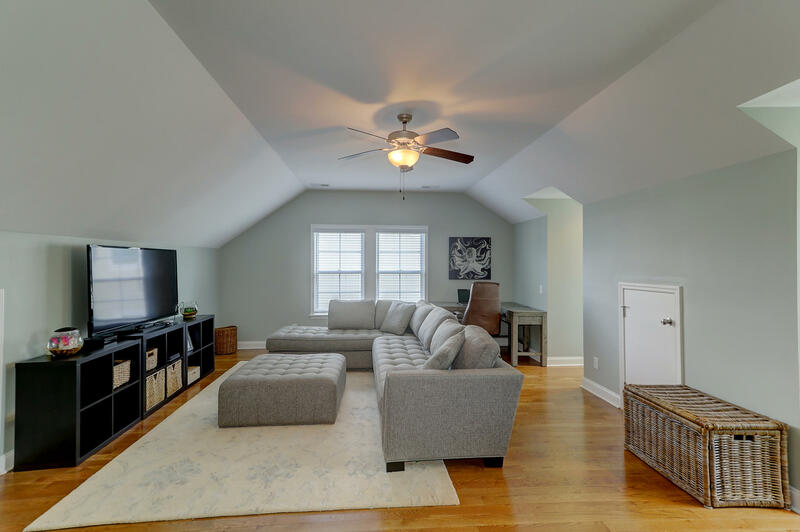 The den also has custom shelves and cabinetry flanking the fireplace with a marble surround, recessed lighting, and triple windows looking out to the partially wooded backyard. 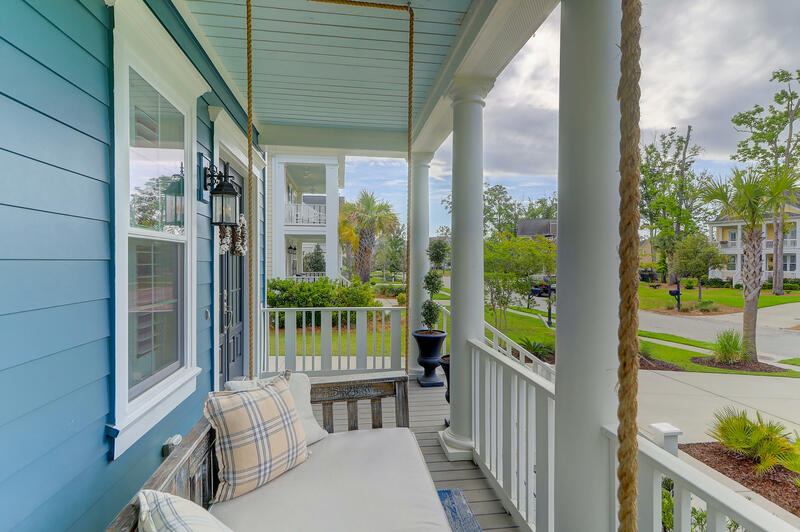 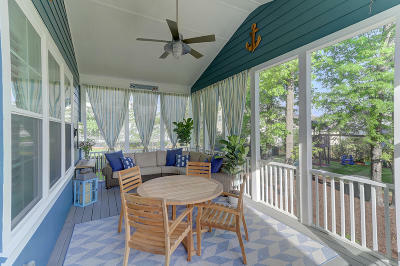 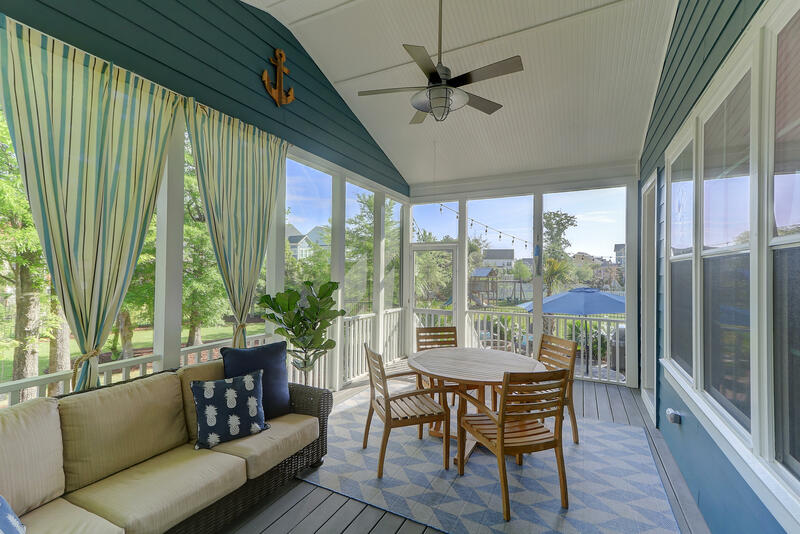 The screened porch is huge with enough space for outdoor seating and dining! 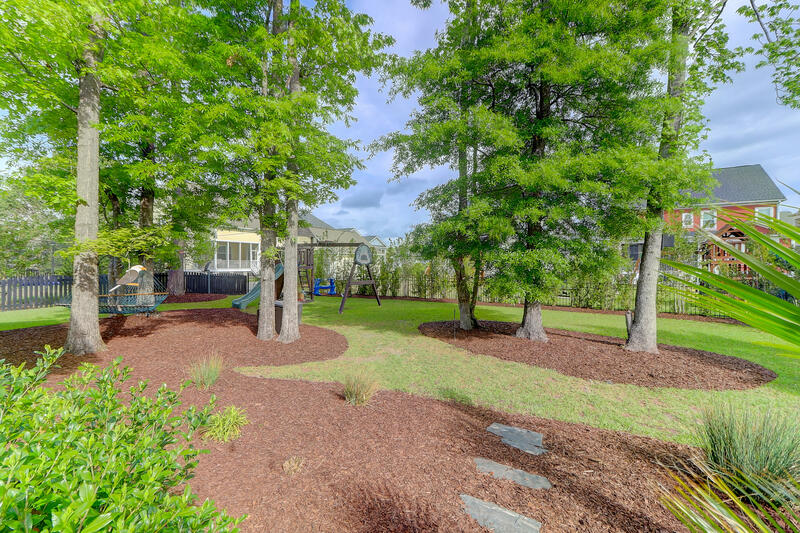 The outdoor space is one of the home's best features! 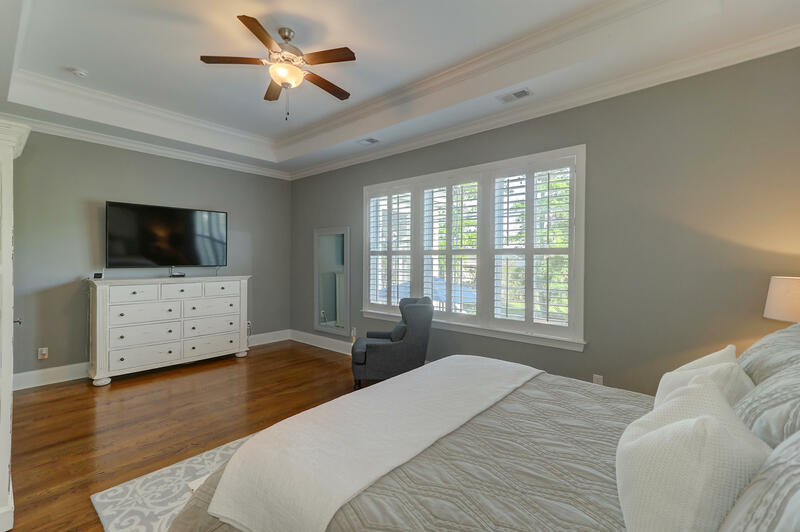 The downstairs master boasts a tray ceiling, triple windows, and 2 enviable closets with fantastic storage options. 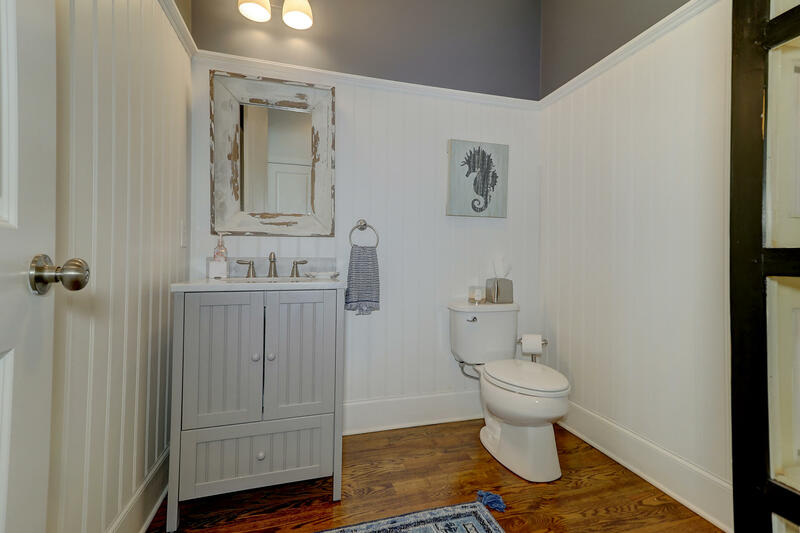 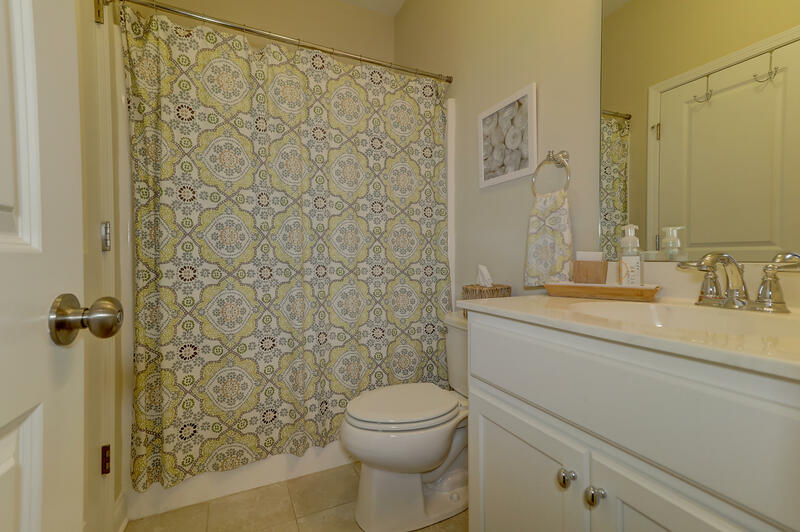 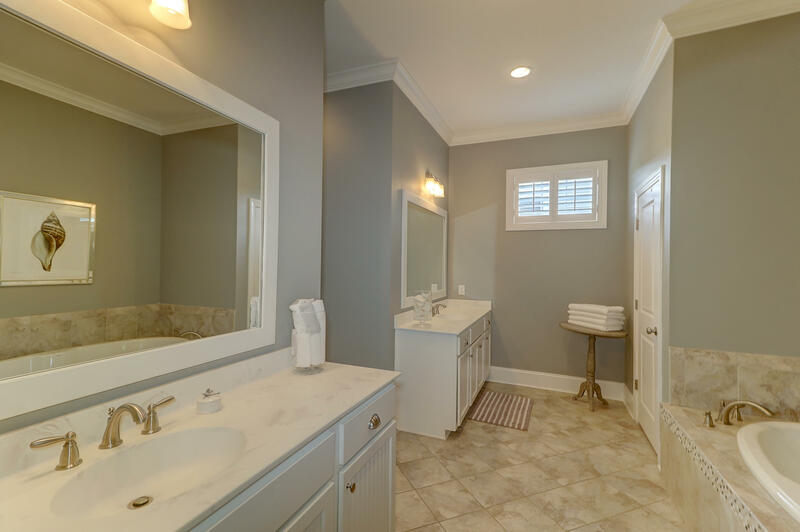 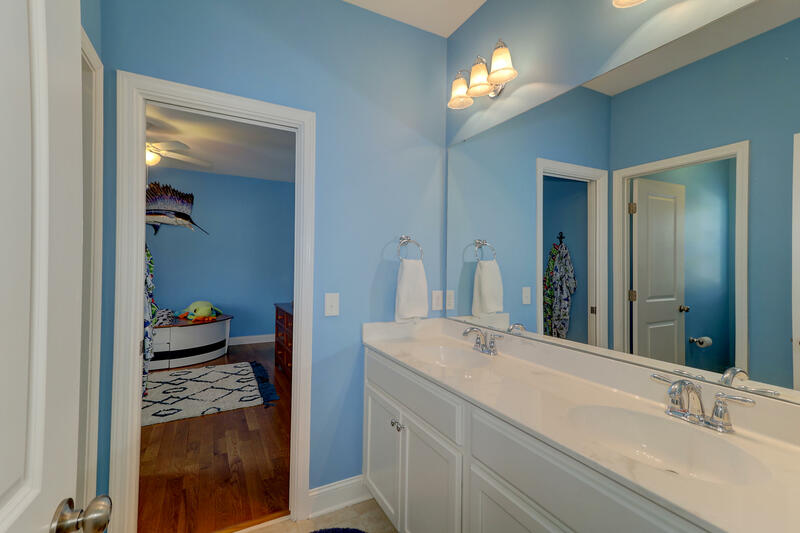 The master bath offers separate vanities, a private water closet, oversized tiled shower, separate soaking tub, recessed lighting, and tile floor. 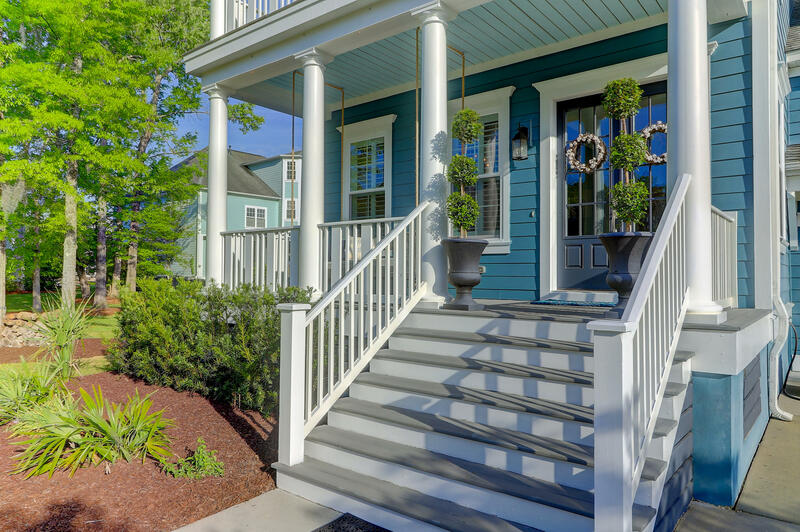 Follow the wood tread stairs up to the second floor to find an office/flex room that accesses the front porch. 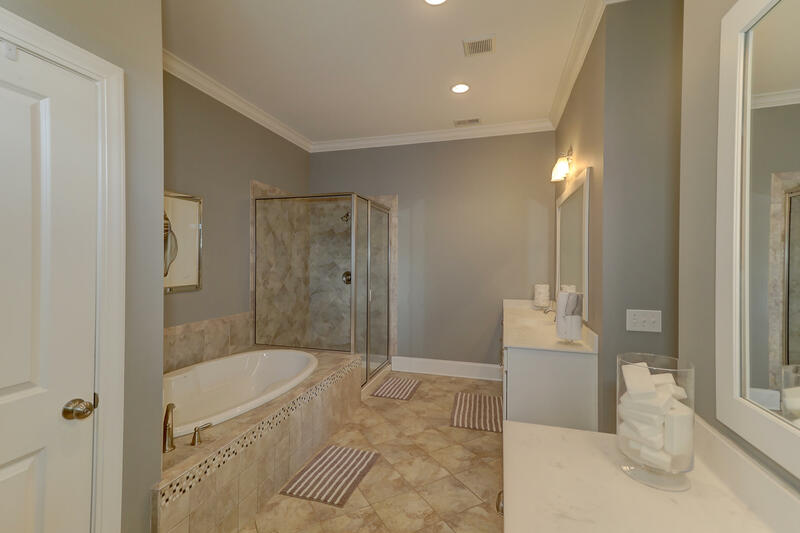 Two bedrooms share a Jack and Jill bath with a dual vanity and a separate room for the toilet and shower. 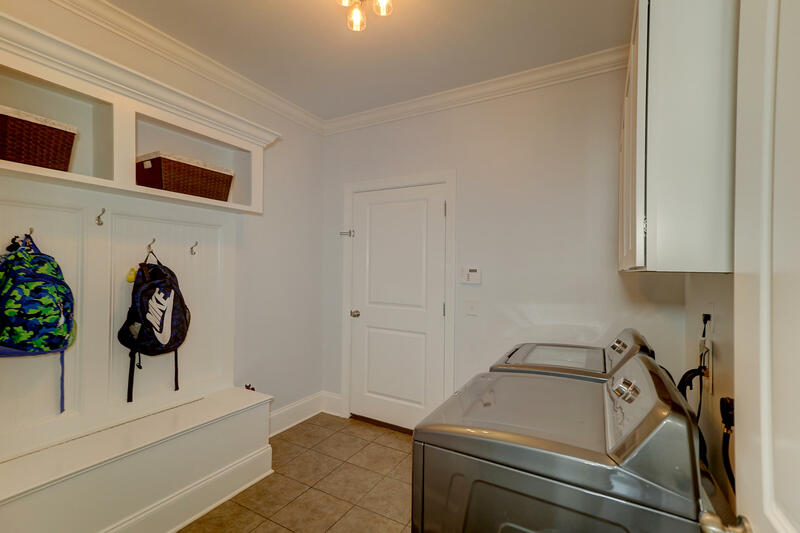 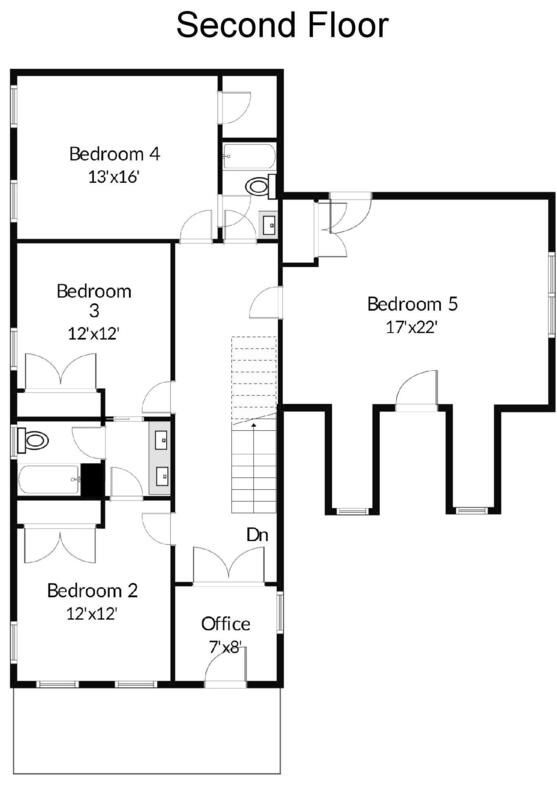 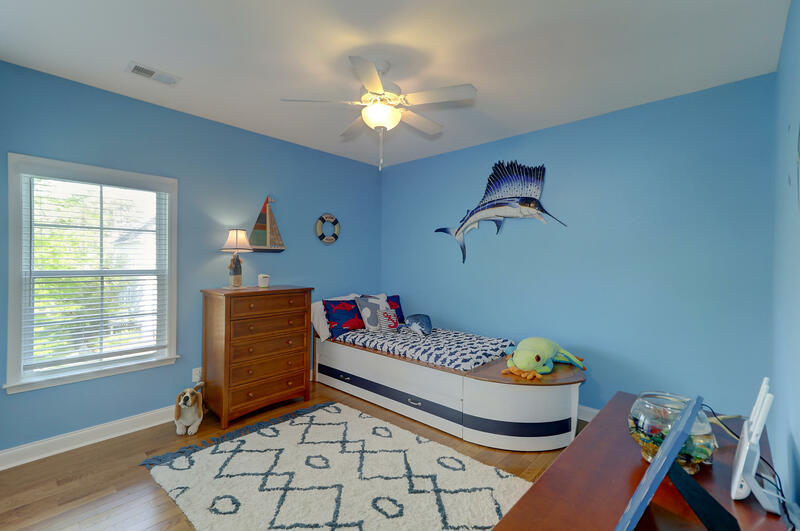 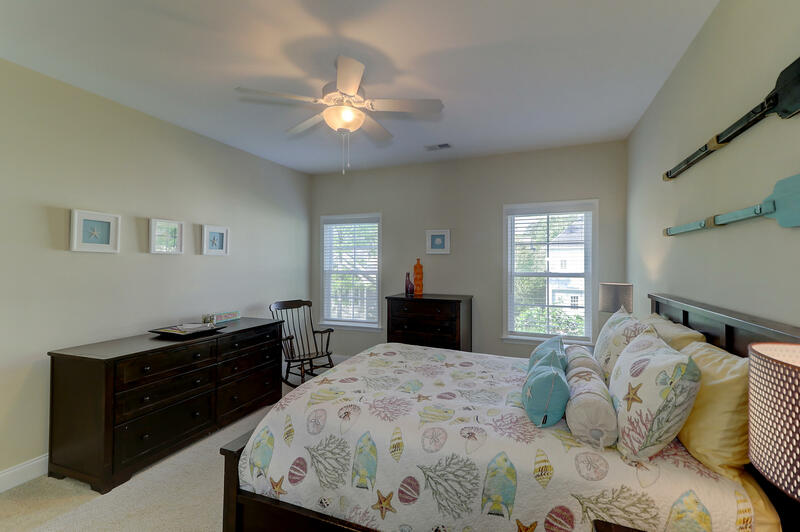 A back corner bedroom boasts a walk in closet and access to the hall bath. 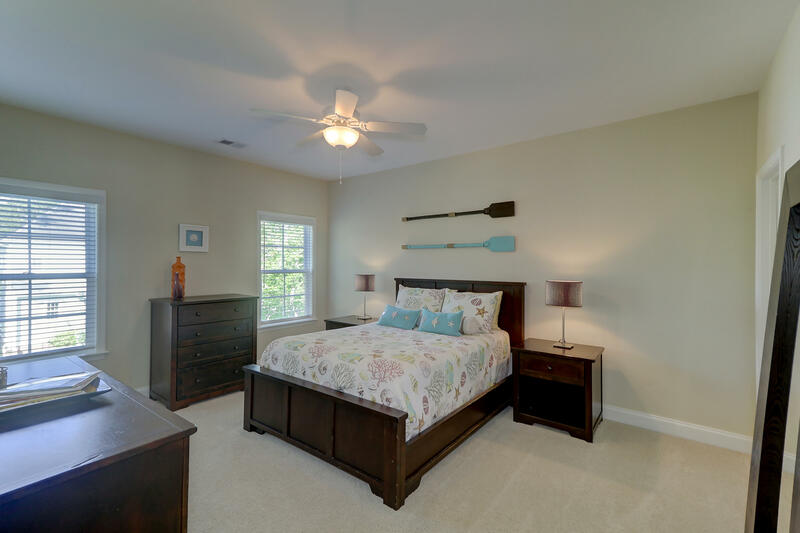 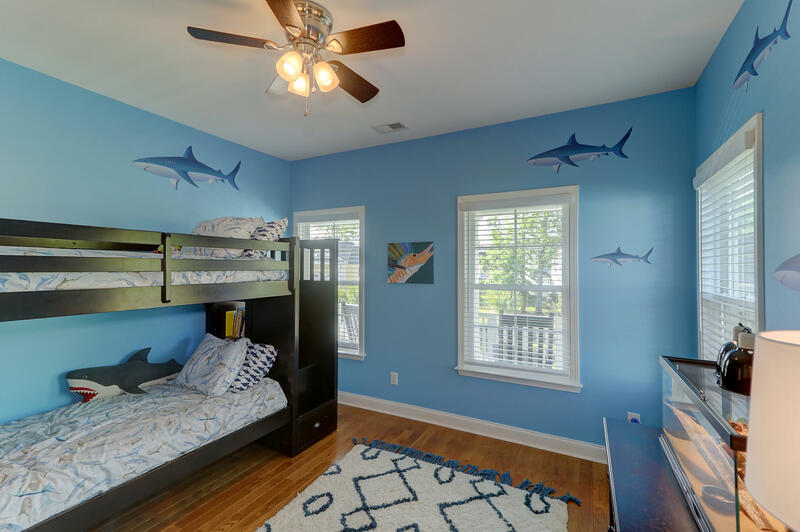 The 5th bedroom is huge, and note the wood floors here as well. 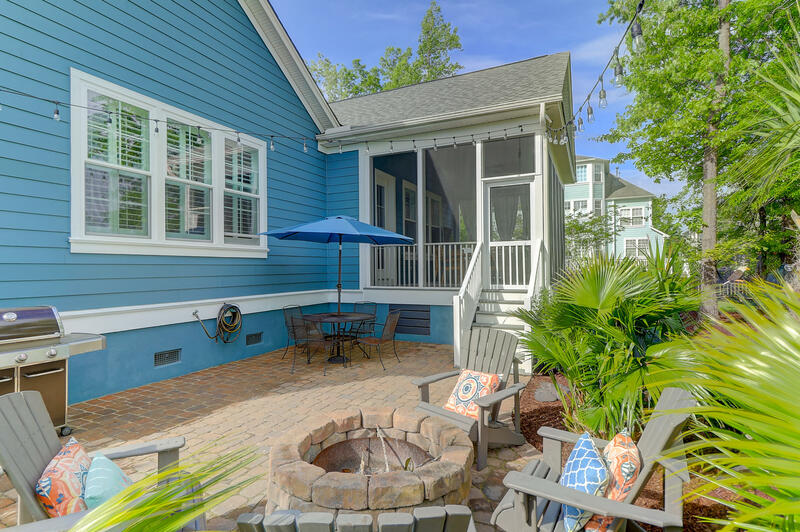 So many upgrades in this home, plus a fantastic outdoor space to enjoy year round in this listing that will impress even the pickiest of buyers!